The colder it gets out, the more I want to make comfort foods. 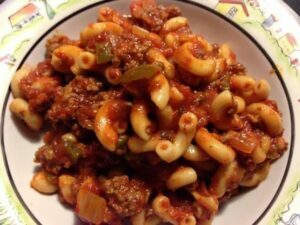 This All American Chop Suey recipe is one of the easiest recipes I’ve ever made and one of the most satisfying comfort foods there is. LOL, it’s probably why my mom taught it to me. When I was young, I was not a cook, that’s for sure. Because my mom taught it to me, the only way I know how to cook it is in LARGE amounts so we usually freeze half and eat half. 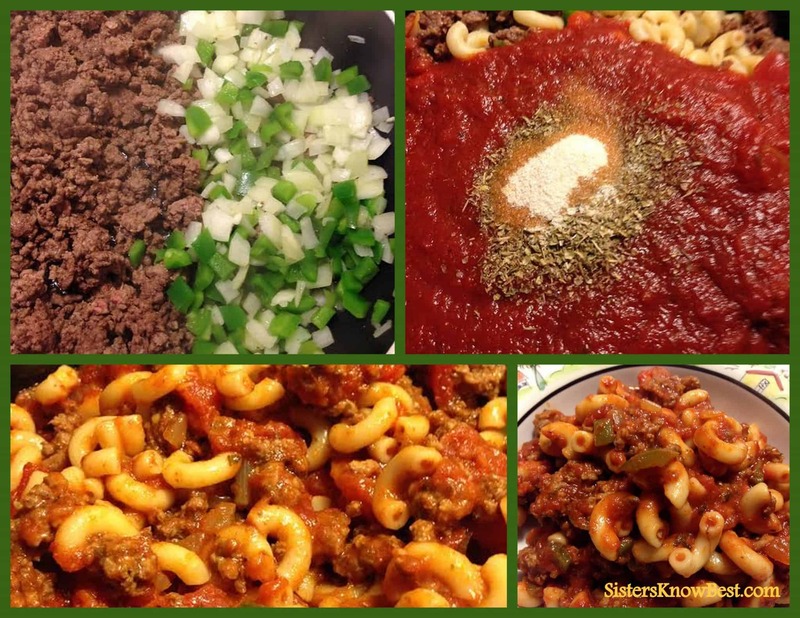 If you like chop suey, you will love this hearty recipe! And if you love it, please share it! Trust me, you are going to need a big pot. An 8 quart or 10-quart nonstick pot with a lid is recommended (any of these will work! 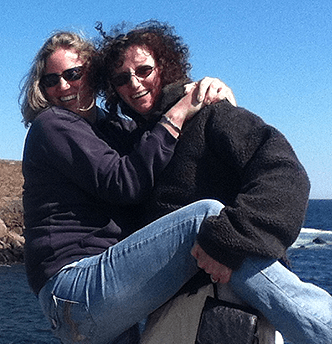 )This is the one I use and is my favorite! No sticking! Start a large pot of water to boil. Add macaroni for 8-9 minutes until al dente. Move hamburger to one side and add green peppers and onions to the other side. Saute green pepper and onion for 4-5 minutes. 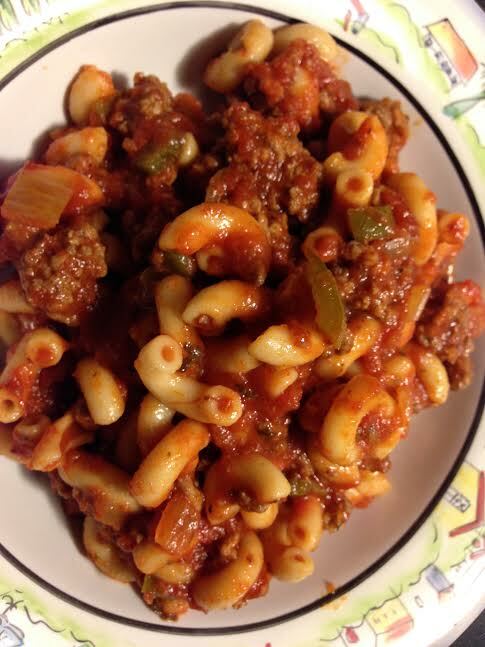 Once macaroni is rinsed and drained, return to pot along with the hamburger, green pepper, and onion. Add diced tomatoes. Sometimes I add a little of the juice to the burger if it starts to dry. Add 3/4 of the Ragu sauce. BEFORE mixing sauce, add dry ingredients. Simmer the pot for at least 20 minutes, an hour is better. And make sure to cover to help keep moisture and splatters in. I made mine in the morning so at night, I put it back on the stove to heat and added the rest of the sauce to it. The noodles absorb a lot of it. Serve with a small salad and garlic bread or eat it by itself. It’s so good you don’t really need anything else with it. For more comfort foods, visit this link.